Dr. Robert Mondavi is now offering various types of dental restorations to restore health and function back to the teeth. Torrance dentist, Dr. Robert Mondavi, is now offering a variety of dental restoration options. Teeth that are damaged and not restored can threaten dental health. They can become infected or broken, or they can be lost entirely. Restoring the teeth can not only prevent further damage, but it can also restore the function and appearance of the teeth. By offering a variety of dental restorations, Dr. Mondavi can restore teeth with minor to more severe damage. "One of the reasons I love being a dentist is that the possibilities with your teeth are limitless. The high-end technology that is available today enables me to give you an amazing, healthy smile. Because my staff and I are trained yearly on the newest, most advanced procedures, I'm able to exceed patients’ expectations,” Dr. Mondavi said. 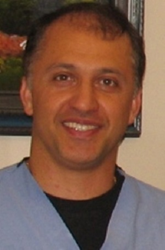 Dr. Mondavi is a graduate of the University of the Pacific, San Francisco, School of Dentistry. He is committed to continuing education and has completed many advanced programs, including courses in cosmetic dentistry, dental implants, and oral bio-esthetic form and function. He incorporates the latest technology in his practice, but is more interested in creating dazzling smiles than in dazzling the patient. He offers extensive treatment options including intraoral camera diagnoses, restorative dentistry, dental veneers, dental crowns, dental bridges, dental veneers, inlays, onlays, periodontal treatments, dentures, night guards, athletic guards, root canal treatments, and Invisalign.